When Should You See A Podiatrist In Surrey & Undergo Foot Surgery? Comments Off on When Should You See A Podiatrist In Surrey & Undergo Foot Surgery? Have you been suffering from painful feet, swollen ankle, thickened or ingrown toenails lately? Wondering how to get the best possible treatment? Consulting an experienced podiatrist can be the ideal solution. Wondering how to determine whether your condition requires you to see a specialist? Read on. Podiatrists and chiropodists are health care professionals who are adequately trained to diagnose, treat, prevent and rehabilitate the abnormal conditions of the ankle, feet and lower limbs. They can even give advice on the best shoes to wear and the ways to look after your feet. Whether you are suffering from an ailment concerning your knee, ankle or foot, podiatrists can provide you with the highest quality foot care in Surrey. 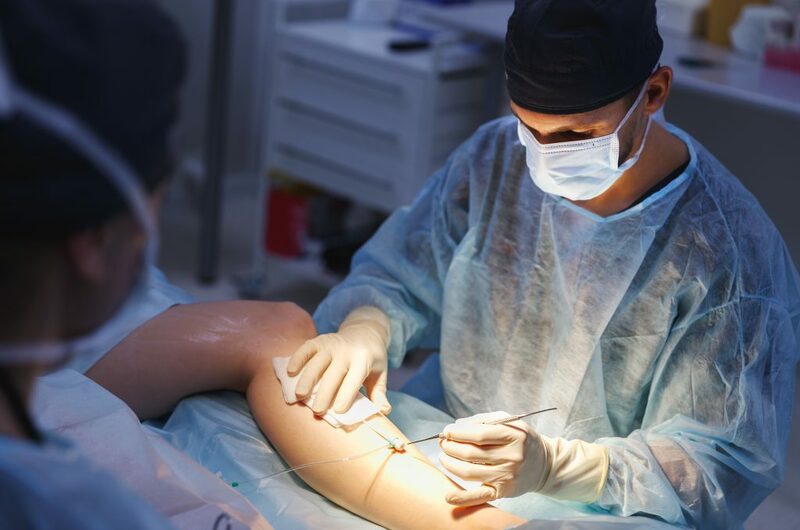 Below are a few situations in which specialists advise patients to undergo surgical treatment. If you feel a sharp burning pain towards the bottom of your feet, consider it as an indication of Morton Neuroma. Morton Neuroma refers to an inflamed nerve which causes swelling usually in the area between the big toe and the foot. It is normally caused when the ball or base of the feet is regularly pinched and pressed, making your nerve thicken and swell. To help you get rid of this disorder, your chiropodist in Surrey will advise you to wear wider shoes which come with comfortable insoles. However, if the condition requires, he can even advise you to undergo a surgery. Plantar Fasciitis or Jogger’s Heel, as it is usually called, is one of the most common causes of heel pain. This deformity is brought about by an inflamed or torn ligament on the heel. The disease is common among runners, women who wear hard heels and people who are overweight and obese. Patients who are affected by Plantar Fasciitis usually experience a terrible heel pain when they take their first step after waking up in the morning. The pain vanishes during the later part of the day and recurs once again when they stand up after a long period of sitting. Bunion or Hallux Valgus is one of the most popularly known foot deformities. It is seen as the bony bump between the foot and the toe, with the affected toe bending towards the other toes. Bunions can be very painful. A leading podiatrist in Surrey recommends that wearing comfortable fitting shoes coupled with pads and soft insoles can be the ideal solution for patients suffering from bunions. Opting for a foot surgery can be another wise treatment. Hammertoe disorders arise when the small toes have a conjecture or abnormal bent. This deformity puts additional pressure on your toes when you wear shoes, causing other problems eventually. The treatment for patients with hammertoe is similar to that of bunions. If the patient undergoes surgery, the joints of deformed toes are fused with surgical pins or small implants. Depending on the extent of foot surgery in surrey involved, your healing process may take a period of 3 to 6 weeks. So what are you still thinking of? It’s time to book an appointment with a reliable podiatrist!